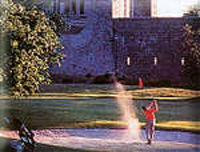 Ireland’s K Club hosted the Ryder Cup in 2006, with two magnificent 18 hole championship golf courses designed by Arnold Palmer. 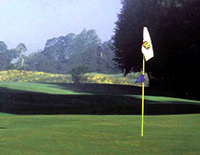 The Palmer Course, and the Smurfit Course are considered two of Ireland’s finest championship golf courses. Located at Geraldine, Athy. 2kms from Athy on the Kildare Road. New clubhouse. Excellent facilities. Visitors welcome. Tucked into a storybook setting - a walled 1,100 acre estate, only 14 miles from Dublin city centre, Carton House offers golfers today a choice of parkland or "inland links" style golf. Carton house held the 2013 Irish Open. 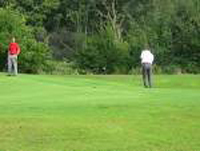 Highfield Golf Club is a real gem tucked away in the rolling countryside of North Kildare, home county to the 2006 Ryder Cup, yet only 30 minutes drive from the suburbs of West Dublin and just 11 miles from Enfield and the N4.